Do you know why you need to eat? Your body needs fuel and raw materials from carbohydrates, fats and proteins to keep your brain and body going throughout the day. You also need smaller amounts of essential nutrients called vitamins and minerals to keep your body’s systems running right. Eat real, whole, unprocessed foods! Eat mostly that which is plucked from the ground, off a tree or bush, or was walking, swimming or flying recently. Eat almost nothing that comes in a bag or a box. Throughout history, our ancestors ate foods described in the first line. Yet it has only been recently that we have rediscovered that the red and blue fruits are loaded with anti-oxidants, and that the cabbage family vegetables are rich in cancer-fighting nutrients. Do you know that grass-fed beef is high in omega-3 fats, and actually reduces inflammation just like fish and fish oils? Make baked goods (cakes, cookies, chips, crackers, desserts and white breads) a rare part of your diet. These processed foods, which typically come in a bag or a box, are generally loaded with refined grains, sugar and unhealthy hydrogenated fats. The exceptions to the bag/box rule are nuts and dried fruits. Eat adequate amounts of the right fats! Fat is absolutely necessary for survival, but there are Fats that Heal and Fats that Kill. If you don’t eat enough of the right fats, virtually every cell in every organ of your body will be compromised. Fats, however, require bile, which are produced by the liver and metered by the gallbladder, for digestion in the small intestines. Poor bile flow or an obstructed gallbladder will make digesting fats an uncomfortable task. The liver manufactures approximately one quart of bile every day, which serves as a carrier for toxic substances to be effectively eliminated from the body. In addition, the bile emulsifies fats and fat-soluble vitamins in the intestine, improving their absorption. When the excretion of bile is inhibited, toxins stay in the liver longer with damaging effects. Many seniors have slow bile production, and need to be taking supplements (such as Milk Thistle and SAM-E) to enhance bile production. The biggest enemies of the liver is high fructose corn syrup, refined seed oils, eating too frequently or too abundantly, acetaminophen (as in Tylenol and other over-the-counter medicines)and statin drugs. Grass-fed livestock, free-range poultry and wild-caught fish have the proper balance of omega-3 and omega-6 fats and are health-building foods; grain-finished livestock, caged/commercially-fed poultry and farm-raised seafood do not, which have become a huge part of our health issues today. Avoid all refined oils. Instead use extra-virgin olive oil, extra-virgin coconut oil or butter for food and cooking. Eat or drink nothing that has the words ‘partially hydrogenated’ on the label. If you don’t eat enough fat, you will be unable to reduce your body-fat levels; your body will conserve stored fat if it gets too little in your diet. You can’t be lean and muscular unless you eat enough of the right fats. Be aware of the common sources of hydrogenated oils and trans-fats, such as margarine, shortening, Cool Whip, non-dairy creamers, nearly all cocoa mixes, and the most popular of all – french fries and potato chips. When you eat is every bit as important what you eat. This is the most important factor in avoiding ever-growing belly fat, metabolic syndrome and maintaining healthy liver function. The rules for proper liver function are these: Eat three meals 5-6 hours apart to let insulin reach baseline levels between meals. Low insulin is required for the body to burn fats as fuel. Snacking at 3-4 hours completely shuts off the burning of fat. The last three hours between meals, the liver will supply blood sugar by breaking down fat deposits and converting the triglycerides to glucose and ketones. Similarly, eat nothing after dinner to get an 11-12 hour fast. This is the most important time for the liver to burn fats and detox the body. Eating before bed greatly hampers this process. When hunger comes between meals and after dinner, convince your brain that you are thirsty and drink a big glass of water. The hunger will slack. Learn sensible portion control! Modest portion size is a major part of eating correctly; never eat until you’re full. 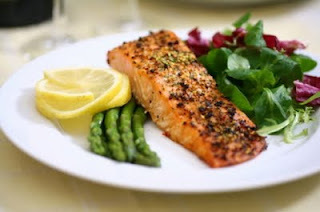 Eating only three (or less) modest meals a day is essential for fat control and muscle growth. Most people over 45 have a protruding belly; the primary cause is eating three “solid” (meaning BIG) meals a day and snacking every twinge of hunger. A very good gauge to portion size is that your protein serving (meat, fish, fowl or vegetarian) should be about the size of the palm of your hand. The rest of the meal should not exceed that weight in total. You can go somewhat overboard on fibrous, non-starch vegetables, but small meals are the rule; shrink your stomach to fit in your abdominal cavity without a bulge. This one practice alone will reduce the swings of your blood sugar level. Eat sufficient protein for the body to maintain and repair its structure! A healthy, active (moderate weight training or aerobic sessions or sports 3 days per week) person needs about 1.5 grams of protein per pound of lean body mass to grow, repair and maintain muscle and other organs. So, if each of your three contains palm-sized meat courses or a couple of eggs, you will not be far from the right number. Make breakfast, in particular, a protein-rich meal to keep blood sugar from spiking and to give you the materials to repair your body throughout the day. Abandon sugar-filled breakfast cereals for real foods. The bulk of each meal should be non-starchy vegetables, with nuts, legumes or starch-based foods as a minor part. A protein drink after a workout will start the repair process and supply immediate amino acid needs. Learn the rules of food combination! Basically, don’t eat starches and proteins together – they will stay in your stomach for hours and you won’t absorb the protein. Proteins require an acid stomach environment for the meat-digesting enzymes (proteases) to work. The young person’s stomach produces abundant hydrochloric acid for just that purpose. Starches require an alkaline stomach for the starch-digesting enzymes (amylases) to do their stuff. Combining them slows the process badly for the aging stomach. Hence the reputation of beans and chili as gas-builders; beans are high in protein and starch, which are tough on old stomachs. Supplement meals with Hydrochloric acid and digestive enzymes. Stomach acid and enzyme production decreases as we age – digestion worsens, absorption and assimilation of nutrients is less effective. Acid indigestion or heartburn is a clear sign that we are producing insufficient hydrochloric acid (HCl) and/or pepsin. It means food is staying in the stomach because it is not digesting. The problem is not too much acid, but too little. Antacids shut down acid production, but those strategies make proteins virtually indigestible and unavailable for assimilation. Take an HCl (Betaine HCl with Pepsin) capsule with any protein meal and see how much faster your meal digests, with no heartburn. With proper sized meals, adequate HCl and digestive enzymes you should overcome most digestive issues, and improve virtually all bodily functions as a result of increased nutrients available at the cellular level. Take Probiotics! The next important aid to digestion is a source of friendly bacteria or Probiotics. If you have ever taken a high amount of antibiotics, you have decimated the intestinal flora that should beneficially inhabit your digestive track. These bacteria, are an important part of the digestive process, and create certain vitamins and enzymes for us. They play a vital role in our immune function. By their presence, they inhibit the overgrowth of harmful bacteria such as Salmonella and E-coli, fungi and parasites. Victims of food poisoning can immediately take several probiotics capsules, which will normally stop it in its tracks. For the most part these friendly bugs live beyond the stomach, but some bacteria such as H-pylori will bloom to dangerous and destructive levels unless the stomach is bathed in strong HCl frequently. Using antacids on a regular basis give these critters the advantage they need to infect the stomach lining and promote ulcers. Eat or drink almost nothing with sugar in it, refined or otherwise; give up sodas! All simple sugars and high-glycemic foods will rapidly raise blood sugar, causing an insulin output for the purpose of lowering the blood sugar level. Chronic high blood sugar leads to insulin resistance and sustained levels of both blood glucose and insulin, as seen in type II diabetes. Insulin itself is inflammation-promoting, and chronic high levels result in rapid aging of most body tissues. The key offender these days is high fructose corn syrup. It has been hyped as very healthy because it doesn’t cause a rapid insulin response; it still shoots blood sugar through the roof, and is pro-inflammatory. Avoid it entirely. Another of the big offenders today is the boxed breakfast cereal; generally loaded with sugar and refined flour. Even the Granola types increase blood sugar too rapidly, and most are based on hydrogenated fats for shelf life. Carbonated soft drinks are highly acidic, and raise blood acidity. The body responds by pulling calcium out of our bones to buffer/reduce the pH of the body’s fluids – not something you want happening to your bones. The sugar load from a soda is enormous. In our opinion, one of the single significant causes of obesity in children, we think, are soft drinks. Give them up and drink almost anything else. Avoid big glasses of any fruit juices. It is far better for your blood sugar levels to eat the fruit and drink pure water. It is important to avoid high-fructose corn syrup in anything. Fructose is processed by the liver directly, and 40% of intake is stored as body fat. High fructose intake has been shown to rapidly push us toward metabolic syndrome. Avoid high fructose corn syrup like it was a toxin. It is, for all practical purposes, just that! Be cautious and selective regarding grain-based food products! 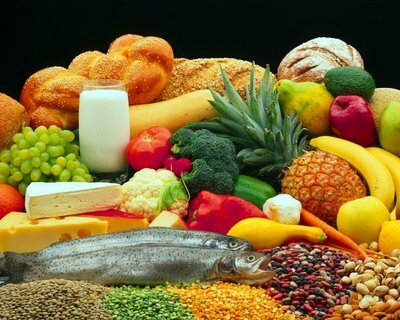 If you have signs of autoimmune diseases such as rheumatoid arthritis, irritable bowel syndrome or lupus, try eliminating all grains and grain products. The reason being, it is very hard to tell what grain products contain as the constituents of their flour. Gluten is the big offender, but it shows up in many grains, and is not cited as an ingredient. Mankind has lived without grains in many regions and times; archaeological evidence suggests that inflammatory diseases increase in cultures that depend on grains as the prime foodstuff. Two to three weeks are usually all that is required to see a reversal of symptoms if gluten sensitivity is the culprit. These principles fairly well sum up what we’ve learned about getting the right nutrients from the right foods, digested, absorbed and assimilated. There is much more at the detail level to learn, but this is a very good start to eating right and getting the most out of it.